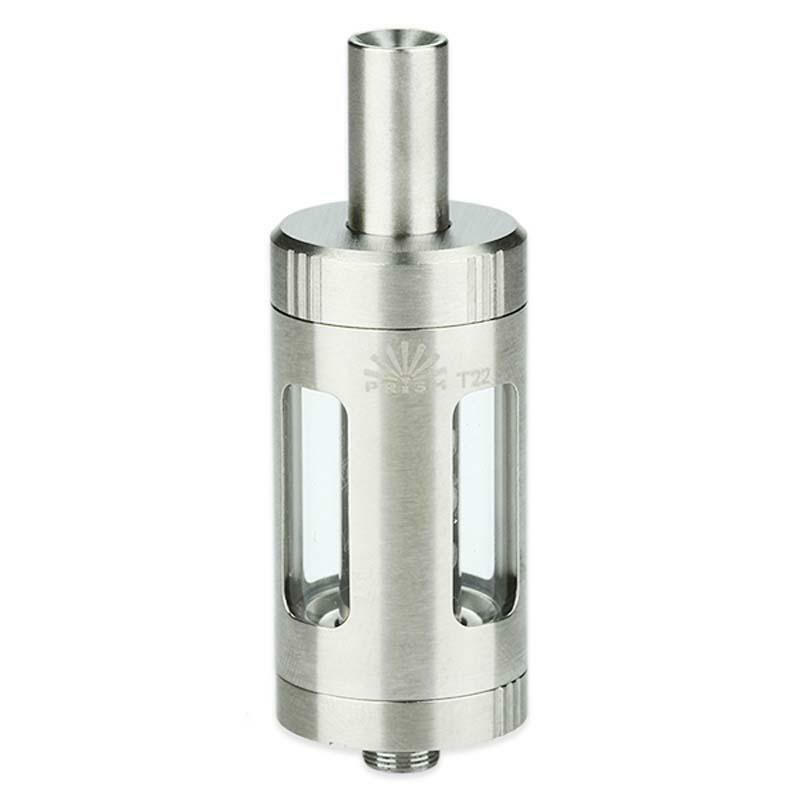 Innokin Prism T22 Tank is made up of Stainless Steel and Pyrex Glass, with 4.5ml e-juice capacity in 22mm diameter. With Removable drip tip, it will bring you the best cloud and pure flavor. 3 colors are available. 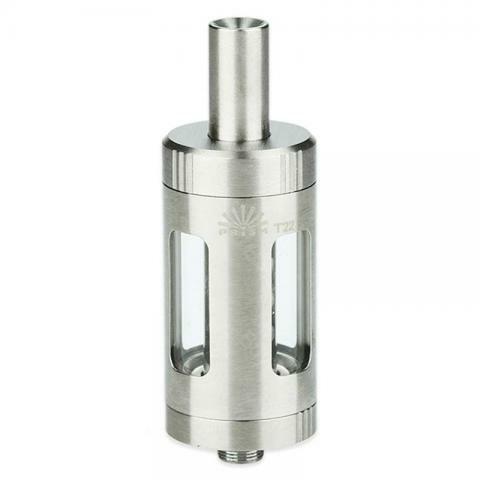 Innokin Prism T22 Tank is made up of Stainless Steel and Pyrex Glass, with 4.5ml e-juice capacity in 22mm diameter. With Top-Fill design, you can easily refill the e-juice by top cap. This device is also with a Removable drip tip, so that you can change it with other suitable drip tips to get different vaping experience. What’s more, it also has No-Spill Coil Swap System, which will bring you the best cloud and pure flavor. Silver, blue and black color for your selection. • Carefully unscrew the top cap from the Tank. • Add e-Liquid against the inside wall of the Tank. Do not overfill. Important: Do not add eliquid to the center airflow hole. Do not over-tighten. Wait 5 minutes before vaping. • Hold the Tank with the threading facing up. • Unscrew the bottom Metal cap of the Tank. • Hold the coil threading and gently pull up to remove. • Safely dispose of the used coil away from children and pets. • Properly align the flat sides of the new coil. • Push to fully insert the new coil firmly into Tank. • Carefully and firmly tighten the metal cap. Caution: Make sure there is no e-liquid in the Tank before you replace the coil. • Quick Link: Innokin Prism Coil. I use Innokin Prism T22 with my Endura battery. I will buy again from this company. Nun muss ich den restlichen Absprung auch noch schaffen dann ist alles Top. Bei der E-Zigarette Innokin hat man jedenfalls durch leichtes kratzen immer noch das Gefühl gut zu rauchen.